Our panel of experts share their suggestions of questions that organisations should be asking their customers. These questions may not seem like much, but that is one of the reasons they can be effective. They ask exactly what the organisation wants their business to be good at and are perfect for assessing whether or not customer expectations are being met. The questions didn’t ask the customer how they heard about the organisation, ask for the customer’s age or what newspaper they read, and that’s important in a customer survey. Why? Because a survey should be designed not to ask the questions that the company is interested in but to ask about the things that are important to the customer. When picking survey questions, always ask “what’s important to the customer?” This way feedback can be used to make changes primarily for the customer’s benefit. How Likely Are You to Recommend Our Product or Service to a Friend or Associate? Businesses need to have promoters to stay competitive, because these customers have a greater customer lifetime value than others. So, contact centres often try to measure the percentage of people in their organisation’s customer base who are promoters, to boost lifetime value and the brand’s reputation. By tracking NPS through asking this question in a customer survey an organisation can gain an overview of whether or not customers approve of the customer experience provided. How Did Your Latest Interaction With Us Make You Feel? Building positive emotions in the contact centre is essential to fostering customer loyalty and to keep people coming back for more. In fact, there have been studies to suggest that emotion has more of an impact on customer loyalty than both effort and success. So, asking how a customer feels at the end of an interaction will help to determine whether they will buy more or less in the future, which is why it can be important to ask questions like the above. But “how did your latest interaction with us make you feel?” is quite an open-ended question. If the survey is online or via SMS, consider providing a set of emojis that the customer can click on to express their emotion. Or it could be useful to ask customers to answer the question in just one word, which then can be categorised as negative, neutral or positive. This would then allow the contact centre to create a Net Emotional Value (NEV), which can be tracked over time. How Easy Has It Been to Use the Services Provided to You Today? Research from Bright has shown that the amount of effort the customer has to put in to gain what they want has a major effect on whether or not they use a business again. Questions such as “How easy was it to use the services provided to you today?” provide insight into how employees are working with customers, while also giving a clear vision into how the services provided act on demand. Customer feedback on effort, in the opinion of many, is a clear factor and open road to improving business and contact centre experiences. In addition, if this question was expanded to ask “How easy was it to use the services provided to you today, on a scale of 1-10?”, a Customer Effort Score (CES) can be calculated, to provide a business measure for effort. Was There Anything That We Could Have Done Better? Instead of asking “what is the question we cannot leave out of our survey?”, it could be more proactive to request open feedback. 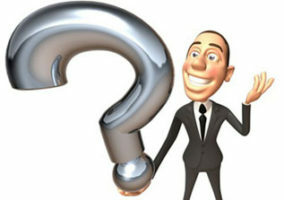 It is easy to miss relevant information by having too guided surveys. The proactive bit is key. Customers are (normally) too polite to vent, but changing the request for feedback to something like “Was there anything we could have done better?” might mean that the contact centre receives a higher feedback rate. Although positive feedback may decrease, it is the constructive criticism that is needed to help the contact centre improve, while the contact centre also can find out exactly what it needs to do to retain that customer. It is very difficult to get the exact closed question choice right and the top gripes of customers will change with time, meaning that it is easy to miss relevant information by having too guided surveys. If There Was One Thing That You Could Change About Our Product or Service, What Would It Be? Having recently participated in a customer focus group, I note that it seemed that a long survey with too many options discourages customers from answering correctly or answering at all. 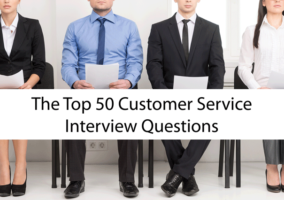 Instead, unique questions should be posed first to grab the attention of customers. Questions like the one above establish to the customer that the organisation is looking for open and honest feedback and encourages them to open up and say what’s on their mind. Each of these examples is giving the customer permission to be candid, while the contact centre directly receives information on what they can do to surpass that customer’s expectations. How Satisfied Are You With Our Service, on a Scale of 1-10? Measuring Customer Satisfaction (CSat) is very important because satisfaction is a strong predictor of future behaviour, so that is key question to ask. This is a thought that is shared by many within the contact centre industry, as 95.7% of contact centres found it to be a “very important” metric to track, according to a recent Call Centre Helper survey. By asking the question “how satisfied are you with our service, on a scale of 1-10?” in a survey, the contact centre can simply plug all the data into the equation below. Doing this will provide a metric score that can be tracked over time, just like with an NPS or a CES. How Satisfied Were You With the Performance of the Advisor Who Helped You? It can be smart to ask about a customer’s satisfaction with the advisor handling their call by asking the question above. This question is best used in a survey that is run immediately after the close of the call, and responses to questions like this allow the contact centre to provide helpful coaching and feedback to advisors. A follow-up question asking respondents to rate characteristics like knowledge, professionalism and courteousness could also provide greater insight. However, in order to avoid biased results, it is best to, if possible, ask the customer to move back onto the IVR at the end of the call to answer this question. This is because a customer may feel uncomfortable giving negative feedback to the advisor directly. It would be great to have one single question that is the best to ask in any contact centre survey, but is there really a one size fits all? 1. Of all the things we want to find out from our customers, which one theme is of most priority? 2. Do we have an effective way of measuring this across the organisation? 3. Do we have measures in place to follow up on this data? The contact centre needs to narrow down the organisation’s focus into one main theme, which essentially helps to create a “best” question. Then, structuring the survey around that theme is the second step. Too often surveys have multiple themes and the focus is lost. The contact centre needs to narrow down the organisation’s focus into one main theme, which essentially helps to create a “best” question. 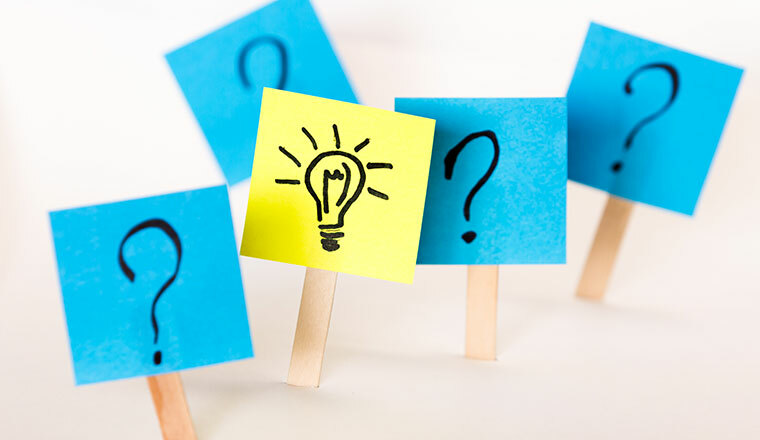 So, create other questions to help understand the main theme and ensure there is a variety of question types to help the organisation achieve this and provide a holistic view of the customer experience. Finally, ensure that there is a follow-up process in place and it is measurable. Asking the best question is vital, but it has to be the best for the company and thought of as a whole process in order to be truly effective. Many of the questions shown earlier are given on a numbered scale, mostly from 1-10, but when asking questions such as “how satisfied are you with our service?” a more focused scale could be a better option. So, an organisation could send their customers an email or SMS message when asking for feedback, instead of running through the survey over the phone, and send over a more visual scale like the one shown below. Not only does this lower customer effort on the phone, presenting focused option such as this gives an organisation much more actionable insight than if it was to have percentage figures for satisfaction. Also, when symbols like those above are used it becomes more of a subconscious process. And, if sent by SMS or email, rather than given on the phone, the customer is likely to be more honest, as they might not want to give negative feedback directly to the advisor handling their call. Nobody in the history of the world has ever complained that a satisfaction survey was too short. Customers don’t even complain when surveys are too long. People just give up, and organisations don’t find out how that customer feels and whether they are at risk. If the organisation is asking more than five questions, it’s probably too many, and it is risking survey fatigue. What other questions would you include in a customer survey?